How Many Calories Does the Denise Austin Ultimate Fat Burner Burn? Can You Use Infrared Saunas for Weight Loss? You would think that going to the gym every day to work out would be enough to bring about some significant weight loss, but this isn't always the case. It's common to make mistakes -- such as not exercising enough or eating too much -- that prevent the numbers on the scale from going down, but a medical condition might also avert weight loss. Speak with your doctor if you're worried about your lack of weight loss, as well as before starting any new diet or exercise program. No matter how much you exercise, your weight isn't going to go down if you're eating too much, and it's easy to overestimate your calorie needs. For example, almost half of the participants of a study published in Diabetes, Obesity and Metabolism in 2010 greatly underestimated how many calories they'd need to cut to reach their target weight. Because overestimating calories burned through exercise is also common, it's easy to unintentionally eat too much to make up for physical activity. You can use an online calculator to estimate your daily calorie needs during weight loss. Just keep in mind that if you calculate your calorie needs as a moderately active or very active person, you don't add any calories you burn through exercise to this total. These exercise calories are already included in the calculation, so you can't use the higher calorie level and expect to lose weight. People tend to overestimate how many calories they're burning during their workouts by as much as four times, according to a study published in the Journal of Sports Medicine and Physical Fitness in 2010. For a 160-pound person, an hour of bicycling at a speed of under 10 miles per hour only burns about 300 calories, and the same amount of time spent on an elliptical trainer or doing low-impact aerobics burns about 365 calories. A 200-pound person uses about 255 calories when walking at a pace of 2 miles per hour for an hour or 530 calories in an hour of swimming laps at a moderate pace. If your regular daily workout burns 300 calories and you think you've burned four times as many calories, or 1,200 calories, you might end up eating an extra 900 calories per day -- enough to gain a pound in just four days. Even if you don't compensate for these calories by eating more, it would take about four times longer than you'd expect to lose a pound, which could explain your perceived lack of weight loss. Even if you're not overestimating the number of calories you're burning during your workouts, you could be unintentionally sabotaging your weight-loss efforts. People often unconsciously compensate for any exercise they do by eating more or being less active later in the day, so they either don't lose weight or actually gain weight, according to a study published in Medicine and Science in Sports and Exercise in 2014. Keeping a diet and exercise journal can help you catch yourself if this is a problem for you. You're also more likely to lose weight if you try to do so through a combination of diet and exercise rather than exercise alone, notes another study published in Obesity in 2012. If you're doing a rather low-intensity workout or even a high-intensity workout for just a short time, you may want to amp up your workouts. People who exercise at a higher intensity for longer periods of time lose more weight and body fat than those who work out at a lower intensity level or a shorter time, according to a study published in Archives of Internal Medicine in 2004. Likewise, if you're trying to lose weight by just doing strength-training exercise, you may not get very good results. Cardio burns more calories, but you'll still want to do at least two resistance-training workouts per week to limit muscle loss. Your body also gets used to a workout after a period of time, so you should change your workouts regularly to increase their effectiveness. Two good types of workout to try are circuit training and high-intensity interval training. For a circuit training workout, you alternate between eight and 10 different exercises without resting in between. These workouts typically contain both strength and cardio exercises and last between 30 and 60 minutes. 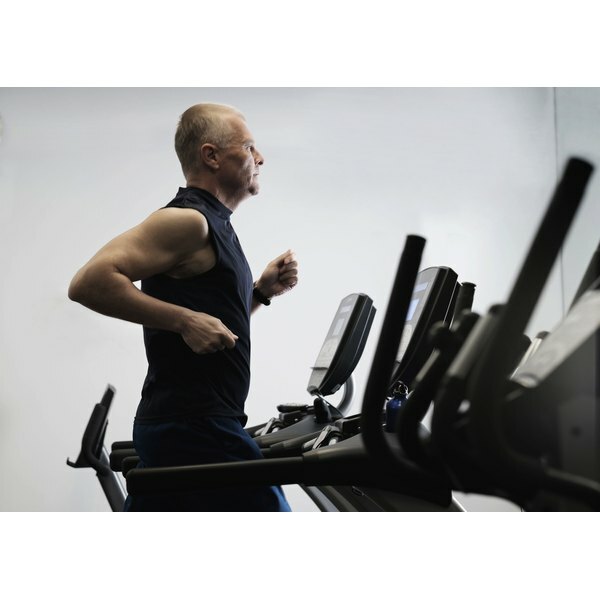 High-intensity interval training involves working out at a high exertion level for intervals of 30 seconds to three minutes, alternating with intervals of lower-intensity exercise of the same length or longer for recovery. Work your way up to about eight to 10 intervals. These workouts are usually only done one or two times per week for no more than about six weeks at a time to limit injury risk. Check with your doctor to see if you've got an underlying medical problem that could be interfering with weight loss. An underactive thyroid, polycystic ovary syndrome, Cushing syndrome or menopause could all have this effect, for example. Certain medications can also make you more likely to gain weight and could make it harder to slim down, including birth control pills and corticosteroids, as well as some that treat diabetes or depression. What Is the Difference Between Calisthenics & Aerobics?